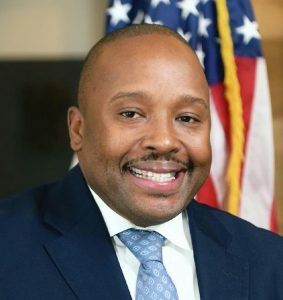 Robert Eastern III, was elected the new mayor of East St. Louis during the city’s April 2 consolidated election. Eastern, currently a city council member, garnered 49.7 percent of the vote to defeat incumbent Mayor Emeka Jackson-Hicks, who received 31.9 percent. Former Mayor Carl Officer ran third in the four-way mayoral race with 16.7 percent. Local activist Darnell Thompson rounded out the field with 1.7 percent. Some 5,535 of the city’s 18,142 registered voters cast ballots in the election for a 31% voter turnout, according to preliminary data from the East St. Louis Board of Election Commissioners. In Collinsville, incumbent Mayor John Miller withstood a challenge from City Council member Nancy Moss. In Wood River, a new one percent sales tax was approved on a 560-481 vote. Six from Metro East win Governor’s Volunteer Service Awards. Five Metro East residents and a business were honored with 2019 Governor’s Volunteer Service Awards during a special event at the Old State Capitol in Springfield on April 9. The award recognizes volunteers and volunteer programs that have made a difference in Illinois and highlights the importance of volunteerism and community service, according to the Serve Illinois Commission on Volunteerism and Community Service. The six Metro East award winners are among 27 statewide. They were selected from among more than 150 nominations in six categories (adult, AmeriCorps, business, senior, Senior Corps, and youth) from five commission-designated service regions across the state (East Central, Northeast, Northwest, Southern, and West Central). — Youth: Isaiah Haynes of East St. Louis. Nomination forms are now available for the commission’s companion awards program, the Governor’s Hometown Awards. The Governor’s Hometown Awards program gives formal recognition to communities that improve quality of life through volunteer projects that meet a defined need and have a demonstrable impact. Nominations for the Governor’s Hometown Awards are due July 25 and are available at www.serve.illinois.gov. Fairview Heights residents and businesses are invited to attend a citywide informational meeting on the city’s new economic development strategy. The event will take place from 5 to 7:30 p.m., Wednesday, April 24, at the Fairview Heights Library Lower Level, 10017 Bunkum Road. Attendees at the meeting will have an opportunity to review highlights of a recently completed Fairview Height Assessment and Market Analysis Report that is being released as part of a year-long effort to develop an economic development strategy for Fairview Heights. The meeting will have an open house format with no formal presentation. The public can stop by at any time, city administrators say. 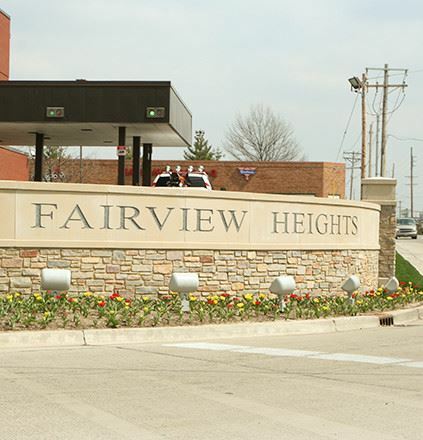 While the economy of Fairview Heights is still strong, emerging national and regional trends in retail and economic development suggest the city needs a formal strategy on future development, city officials say. “The development of an economic development strategy will position the city on a path toward financial resiliency by creating a vision around which the city with its public, private and institutional partners can coalesce efforts to drive investment and growth,” administrators said in a prepared statement. The planning team is led by the i5Group, along with Community and Economic Development Solutions, Colliers International, and the Lochmueller Group. A 15-member steering committee is helping to guide the planning process. The Steering Committee has representatives from the City Council, Economic Development Commission, and business leaders from across the city. The planning process started in early 2019 and will be substantially complete by the end of 2019, city officials say. A second citywide informational meeting will take place in the fall for the public to review the draft economic development strategy. For more information about the economic development strategy, contact Ellis at 618-489-2033. Thirteen Madison County communities have been approved for environmental grants, totaling $181,893, to support conservation and sustainability projects, according to county officials. The 13 Resource Management Program grants are administered by Madison County Community Development, the planning and development arm of the county. The program provides financial support for a broad range of environmental initiatives such as stormwater management, energy efficiency, water quality, air quality, and recycling, according to a county statement. Funding comes from a “tipping” fee, established in 2001, on refuse loads dumped at the county landfill. So far, the program has paid for more than 150 environmental projects across the county. Most of the projects awarded grants this year center on stormwater control, water quality, or energy conservation. Grants are issued at the time projects are successfully completed. All completed projects are subject to site visits. 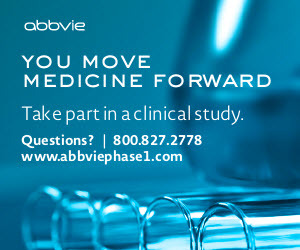 Grantees must submit final reports on the projects. A new Solar Park Grant program, administered by the Madison County Community Development Department with funding from the U.S. Department of Energy, aims to enhance parks through solar power. “This grant is yet another opportunity to make improvements to parks within Madison County, while also being energy efficient”, Community Development Administrator Trudy Bodenbach said. The grants will provide funding to solarize items such as restrooms, pavilions, scoreboards, and lighting, Bodenbach said. The number of applicants and the amount of funding requests will determine the total number of grants awarded, she said. Grants of up to $50,000 will be awarded. The grant application period is now open and eligible applicants include park districts and municipal park and recreation departments. Applications will be due no later than June 12. A grants committee will select recipients through a scoring process based on pre-established project rating system. For additional information contact Community Development Coordinator James Arnold at 618- 296-4247.